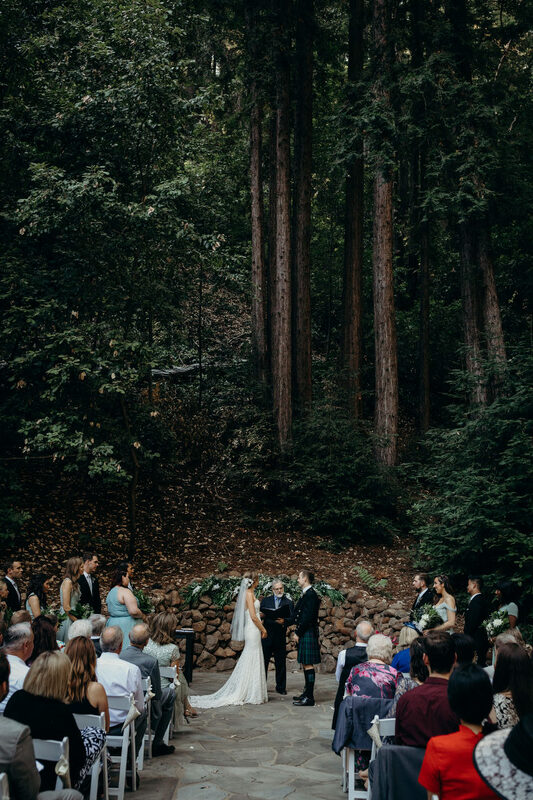 The Waterfall Lodge is a retreat style wedding venue nestled in the Santa Cruz mountains in Ben Lomond, California. I love this venue because it is peaceful, shady, and just being there is an experience in itself. As a photographer, I love the many different features and alcoves that make great portrait locations. 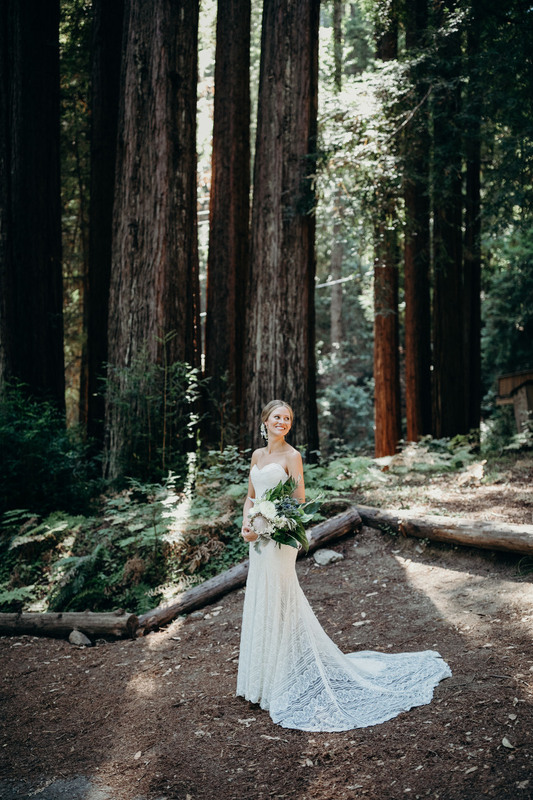 One reason I love redwood forest venues is that no one has to battle with the problems of the hot, bright afternoon sun. No one is squinting into the sun during the ceremony. No one is desperately looking for a pocket of shade to cool down in their heavy layers of formal attire. And my favorite reason– we can shoot great portraits any time of day because of how forgiving the light is. The Waterfall Lodge really is a special place and has quickly become my favorite local venue. In fact, I love it so much that I am getting married there in 2019! The ceremony, dinner and cocktail hour take place outdoors, while the dance floor is in the barn. Couples can choose from two different sites for their ceremony. 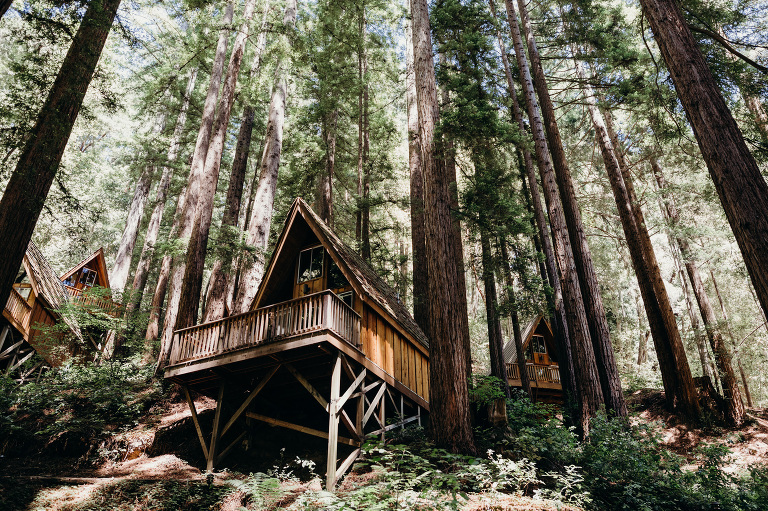 The venue also features lodging options, including some really adorable 1970s A-frame cabins that are perfect for families or your tipsy friends. 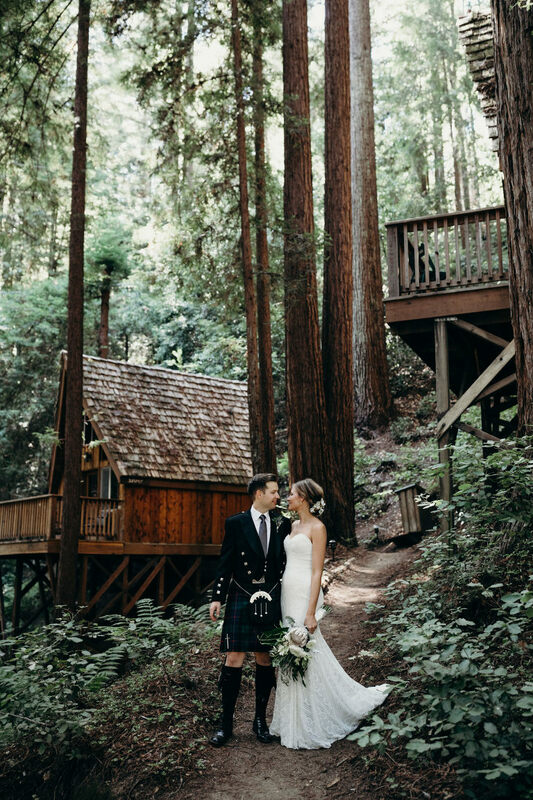 Whether you book the venue for the weekend or the day, Waterfall Lodge truly feels like a peaceful escape from the busy bay area. Guests can be entertained with a hike around the many acres, relaxing in a sunny patch of sun on a patio, or heading to the neighboring state parks and beaches for offsite adventures. The Boardwalk and the beaches in Santa Cruz are a 30 minute drive away from here down beautiful highway 9. One of my favorite nearby attractions is the tiny and quirky “Bigfoot Discovery Museum” in Felton. Another great thing about Waterfall Lodge is that the policies allow for freedom in the vendors you hire, so you aren’t stuck choosing from a strict list of caterers and rentals, etc. Plus, the onsite coordinator, Michael, is truly wonderful to work with. His chill personality keeps everyone feeling relaxed and happy. This newly re-opened venue is totally worth the visit if you are looking for an outdoor wedding venue. More photos of Waterfall Lodge to come soon! In the meantime, check out this post about some other local venues.